Product Information : A natural bispecific cross between 'Early Sunrise' and 'Zamfir'. 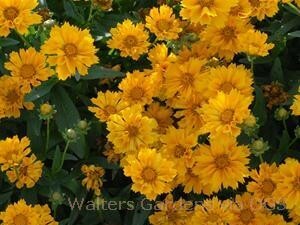 Golden yellow flowers with more consistently fluted petals are produced atop a compact mound of foliage. Very floriferous.